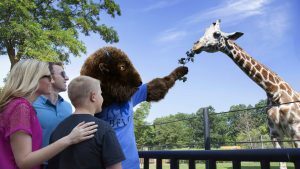 Featuring over 1,000 animals and 500 different species, The Buffalo Zoo remains one of the city’s best family attractions. 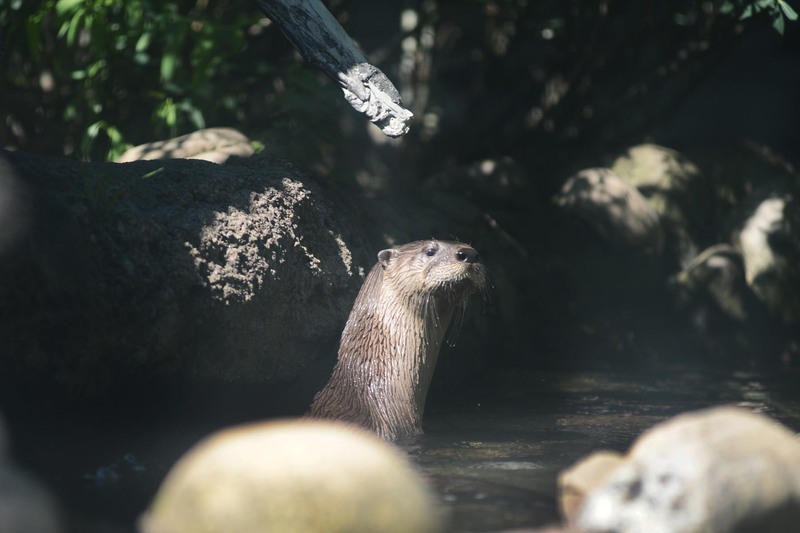 Nestled in a corner of Frederick Law Olmsted’s Delaware Park, the Zoo has debuted a series of state-of-the-art exhibits in recent years, including new habitats for its polar bears, river otters and its rainforest species. Here are nine animals that deserve your gaze when you visit the Zoo. They are all animals with a bit of backstory, provided either by helpful wall notes, or in conversation with one of the Zoo’s knowledgeable animal handlers and specialists. When entering the new Arctic Edge complex to view Ursus maritimus (a.k.a. polar bears), look for the group of children and adults pressed against the large windows. 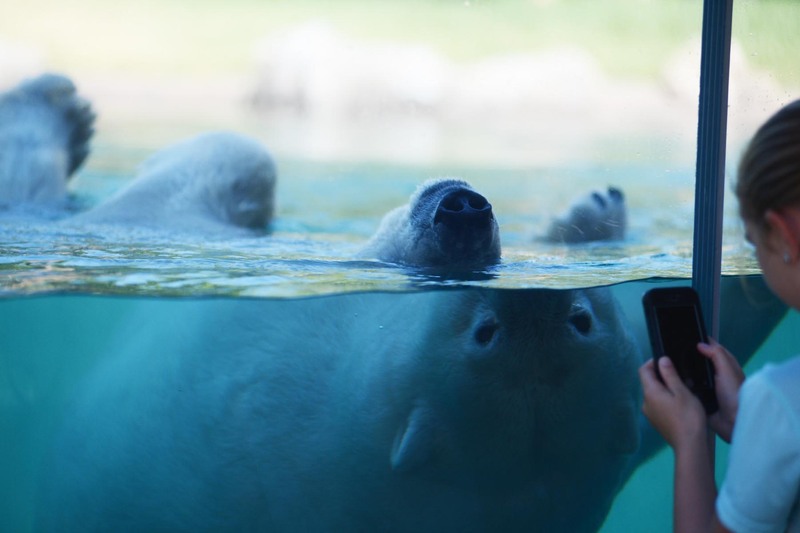 Luna, the seemingly fun-loving and crowd-friendly polar bear, loves to swim. It’s mesmerizing to see a bear do laps, kicking off and floating back and forth with her large paws and claws moving through the water. River Otters (Lontra canadensis) are one of the groups of beasts that inspire long ganders at the Zoo. The otters seem like they’re having the most fun, chasing each other, swimming, emerging from mud and popping their little heads up to have a look around Otter Creek. Their little ears, expressive faces, and long lithe bodies place them firmly in the adorable and sociable category. Astute visitors to Buffalo Zoo will note that there is not one – but three – exhibits of these glistening bright green and black frogs. 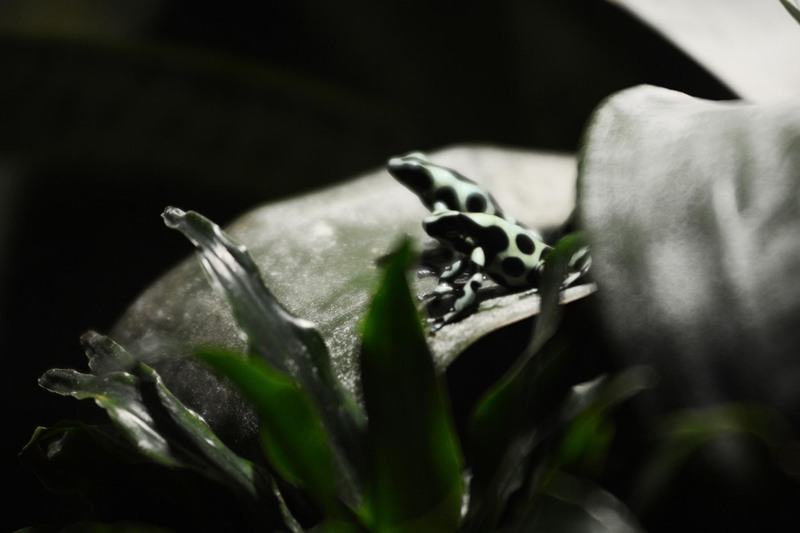 They are very still and they’re one of the amphibians that are extremely good (despite that bright green) of blending into their habitats that includes lush plants. A visit to Buffalo Zoo would seem incomplete without a stop to see the giraffes, inside or outside depending on the weather: they reside in a really tall giraffe house and seem happiest when they are outdoors in their yard with soaking up some rays. People who live near the Zoo in the Parkside neighborhood regularly see the giraffes stretching their necks to peek over the top of their enclosure. This domesticated animal was integral to the success of the Erie Canal. The canal was the waterway superhighway of its day, with mules walking along tow paths dragging barges filled with cargo. 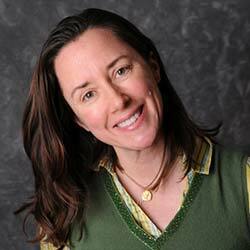 CandyAnn lives in the Heritage Farm area of the Zoo in a rehabilitated historic barn. Nearby, visitors can learn more about Erie Canal, how locks work, and see a recreation of a river barge. 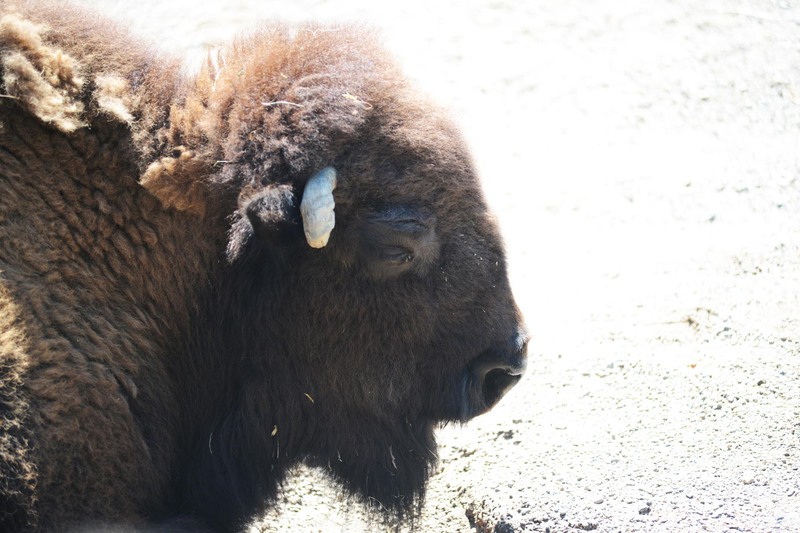 Bison, or Buffalo as they’re frequently called, are a must for this list as they may be our city’s namesake. Speculation on the origin of Buffalo’s name abounds: was it indeed named for bison, or was it a mispronunciation of “beau fleuve,” French for beautiful river? Regardless, these placid animals, residing near the ring road of Delaware Park, are visible both from the park and from inside the Zoo. 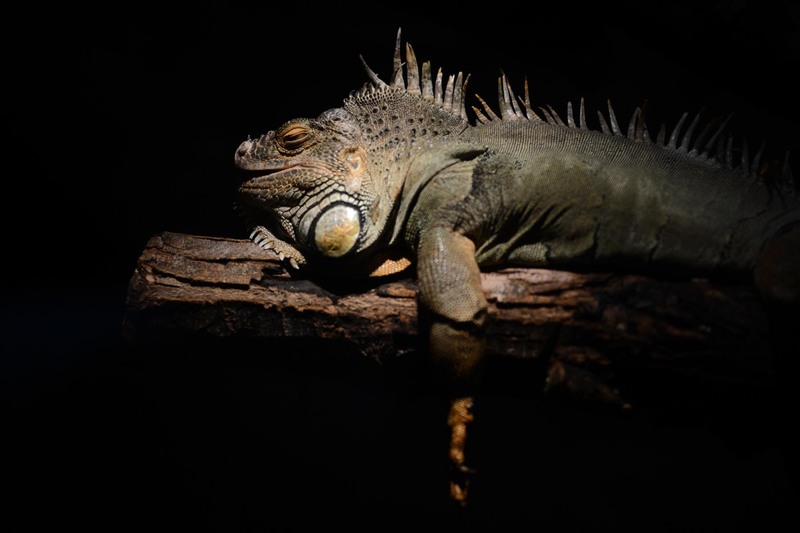 One fantastic thing about the Zoo’s Green Iguana is its name: Iguana Iguana, which makes it sound very important important as its genus and species are the same same. Herbivorous and very still, this creature, with its coloring and crested head, looks very majestic as it basks in its warm, humid environment. Irwin, a Blue-Tongued Skink (Tiliqua), was out and about giving teachable moments to visitors one day. With a head that resembles a snake’s, a skink is very soft and cool to the touch. Skinks, if caught by a predator, are able to drop their tail – once – and grow a new one. Skinks are unusual as they are reptiles who hatch inside their mother. And yes, their tongues really are blue. 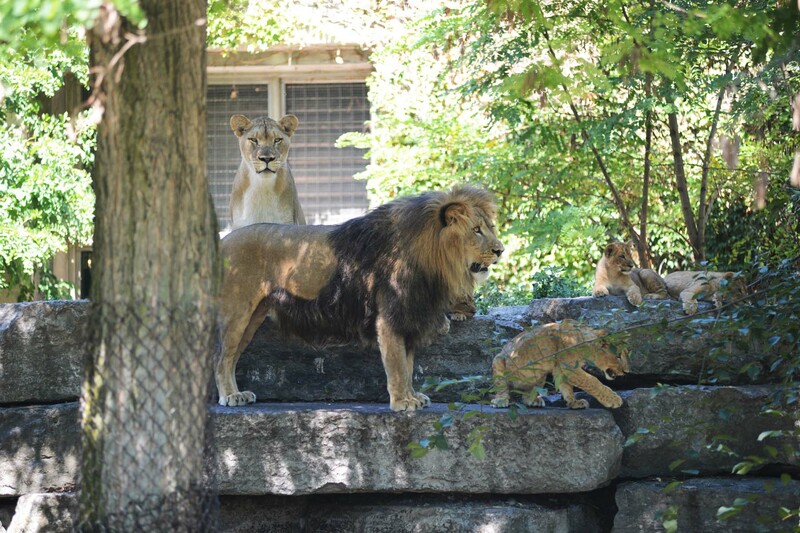 The lions at Buffalo Zoo exist in their habitat in a pride and they are very vocal in their space. It’s not uncommon to hear their roars while walking around the Zoo. Mama lion, Lusaka, and papa lion, Tiberius gave birth to a trio of lion cubs in recent years. Lions (Panthera leo) are dubbed “big cats” as they are one of the largest species of felines.